Immerse yourself in the dark world of fantasy and myth! Stormfall: Rise of Balur™ delivers epic battles in one of the most challenging and popular MMO strategy games available for iOS! The empire of Stormfall has fallen, and rival warlords join the battle across the continent as an ancient evil rises once again. You have been chosen to defend and protect the lands of Darkshire, and lead your people and your army through these dark times and into the light. NOTE: Stormfall: Rise of Balur™ is completely free to play, however some game items can also be purchased for real money. If you don't want to use these items, please disable “in-app purchases” in your device's settings. Stormfall: Rise of Balur allows you to subscribe to special Stormfall Passes. Stormfall Passes will automatically renew after the specified period unless otherwise cancelled. When purchasing a Stormfall Pass, payment will be charged to your iTunes Account at the time of purchase and will automatically renew (at the duration/price selected) unless auto-renew is turned off at least 24 hours before the end of the current period. Your current Stormfall Pass cannot be cancelled during the active period, however you can manage your Stormfall Pass and/or turn off auto-renewal in your iTunes Account Settings after purchase. 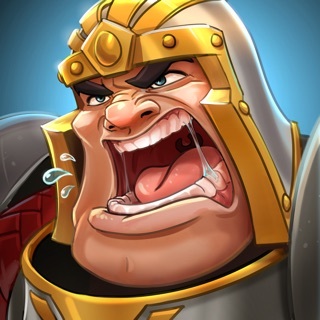 •	Exciting PVP battles – pit your armies against other players from around the world, master strategy, diplomacy and join forces with great League to defeat your rivals. 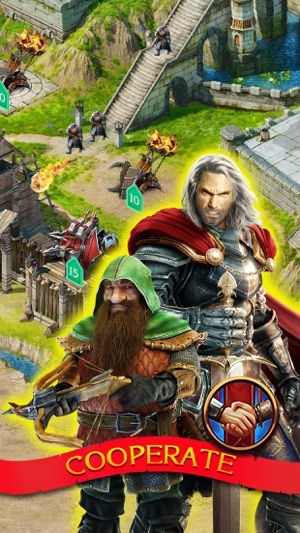 •	Popular MMORPG free to play with thousands of clans to join. 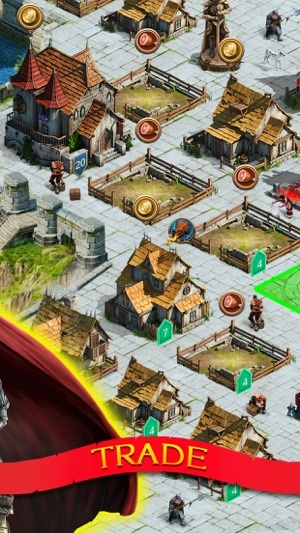 •	Forge diplomatic and strategic alliances with millions of online players, from around the world, all in real time. 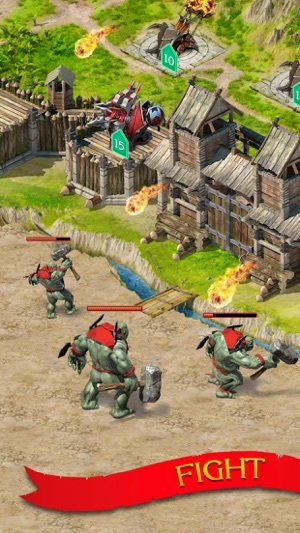 •	Raid, attack and defend in order to defeat your enemies in ongoing battles and wars. 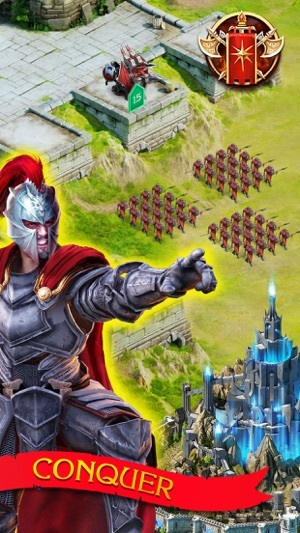 •	Earn bonus rewards just for commanding your troops each day. I have previously reviewed about upgrade issues breaking the game by being mandatory but not being available to download. Now they’re simply breaking the game. I have played Stormfall for quite some time. I’m one of those players who developers don’t like - I take the free to play to heart. So I know I need to be patient, make wise decisions and play as team. This suits my playing style and I am very active in a competitive empire. However the developers have decided to radically change the game once again, this time damaging a core concept that of league fortresses. With the latest update even the mightiest fortress can be shredded to nothing in a matter of a few attacks. This isn’t a might happen but already HAS happened and we are less than 2 days after update. Complaints have been made in the game forums but appear to be ignored. If this continues there will be no reason to continue as it is no longer as advertised as a MMO strategy game. I am really sorry that you did not like the update. We would really appreciate any information regarding why exactly you think can be changed. We encourage you to leave your feedback at the official forum of the game at: http://plrm.me/sfmforen , your help is much appreciated. If I could give this game ZERO stars, I would donkey kong punch that zero. Don't be fooled by the frequently and loosely used term of "FREE" which is so eloquently strewn about on Stormfall's information page. You will realize relatively soon in the game that you need money to make something of yourself otherwise you're just gonna end up as one of the million farms in the Stormfall graveyard. You will get sucked in, but what keeps you in are the people you meet and play with/against. 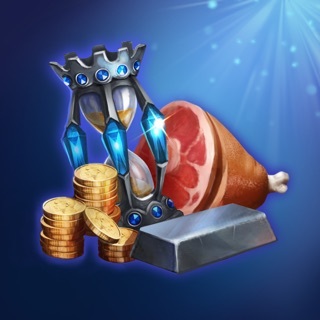 Plarium has shown and continues to show that it has no ceiling for creating new features (cha-ching cha-ching) to the game to strengthen your army/castle etc. Its a vicious circle of dumping money into the game and to be quite frank, their actions seem to be geared more towards making profits rather than caring about their loyal players. Don't play Stormfall. Buy a time machine, go back in time, buy Stock in Stormfall and sell those shares while Plarium is rolling in dough. I don’t like the changes. Especially when it comes to selecting troops. If you accidentally select a troop you don’t want, they stay in your selection.... I don't like that. The old format was far better. 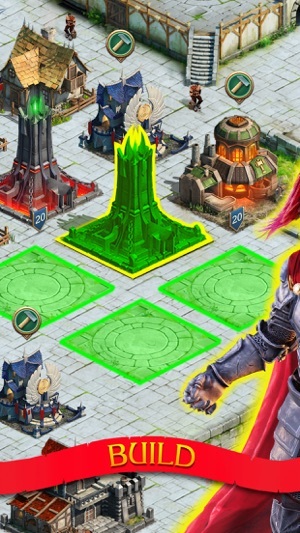 Also, the tower thing is basically useless, as units become “locked” up and can’t be reused. Unless you coin, it’s extremely hard to get scrolls to summon anyone new. So your selection stays way too small. There needs to be an easier way to earn scrolls and the stones to advance. Not everyone that plays has money to burn. I’ve been playing for almost 3 years and am getting discouraged because the game wants my to buy things I need. I don’t have that kind of money. Can ya’ll work on that instead of adding more things that you want me to buy?? Please, contact our support team at http://plrm.me/sfmsupen and describe the situation in detail, so we could assist you properly. Thank you.